We want to hear from you!  Give us your input as we shape our priorities for CFI Michigan’s 2019 Programming and events. 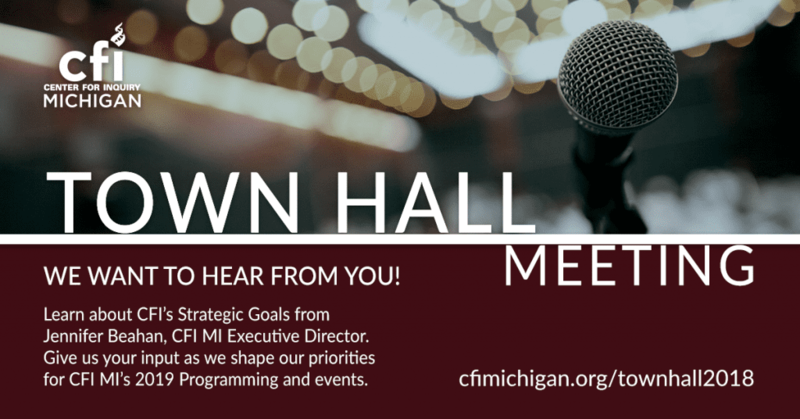 Join us for a special Town Hall style meeting at Living Without Religion in Grand Rapids to learn about CFI’s Strategic Goals with Jennifer Beahan, CFI Michigan’s Executive Director. After a brief overview these goals, and a snapshot of the current “State of the Center,” Jennifer will facilitate a discussion with attendees to get feedback about event and programming ideas, and to listen to your suggestions, concerns, and questions regarding CFI’s mission and programming. Living Without Religion (Grand Rapids) meets on the Second and Fourth Sundays of each month. To find the group go to the meeting room located in the back left corner of the bookstore (not the cafe). Cost: Free, beverages and snacks are available for purchase. Jennifer Beahan is the Executive Director for CFI Michigan, and has been a leader of the group for 15 years. She manages CFI Michigan’s ongoing programming—with over 150 educational, social and service events each year—and supports the growing secular community throughout Michigan. Her interests include interfaith outreach, volunteer management, program development, and she is an activist fighting for secular, LGBTQ and women’s equality. She holds a Bachelor’s of Music Education (K-12), and in addition to her work for CFI she teaches private music lessons on piano and woodwinds.